This is a downright emergency! Calling all Stockholm residents or those familiar with Stockholm. Despite writing a regular column for Modette, a Swedish fashion magazine that launched a few months ago, my knowledge of Stockholm is just downright piss-poor (by the by, any Modette readers have any feedback on the column – never know how well my fruity English is understood by people when translated into Swedish….?). This is pretty tragic considering I’m going on a long weekend to Stockholm on Friday with the boyf. As Northern Europe’s supposed ‘coolest’ city, the general aim I suppose is to ‘coolhunt’. I’m looking to cool people-watch, shop cool and eat cool. Admittedly, my definition of ‘cool’ is a bit loose seeing as I’m generally overly enthusiastic about any new place I visit and as my first time to Scandi, this should be even more exciting for me! So, back to the emergency call. According to Google Analytics, I have a fair few Swedish people reading this blog (or at least passing by) so ANY Stockholm related tips/advice on shops/eating/doing will be mucho appreciated. I get emails about shopping in London on a daily basis and throughout August, I’ll be embarking on a ‘special project’ (I want to give a cool code name…but can’t think of what to call it…) related to that, which should hopefully repay this favour I’m asking for now for anybody who will be visiting London. If you happen to be one of these stellar stylish people spotted by The Sartorialist and the Facehunter, please feel free to impart some of your Stockholm style wisdom. I leave on Friday morning. I take emails, comments here and possibly pigeon messages if push comes to shove. Haven’t you been to Copenhagen? Just felt like a bit of a ramble..
Didn’t make it in the end…freaking last minute changes! the jacket on the bottom left is from H&M (if that helps). My favorit place right now is s√∂dermalm, you can find alot of nice trendy shops like; beyond retro on √Ös√∂gatan 144,Judits secondhand on hornsgatan 75 other wise you can just walk up and down bondegatan and the cross-streets there and find som nice shops or up and down g√∂tgatan, another shop that is really cool is br√∂derna erikssons dammode on hornsgatan 180 and monki on g√∂tgatan 19 is one of my favorit.And cool coffeehouse’s are caf√© string on nytorgsgatan 38, caf√© 60 on sveav√§gen 60 and john chris on drottninggatan 29.
well I can go on and on, if you wonder about anything else just ask. I’m not sure I’ll be of much help, because despite being Swedish I’ve never actually lived in Sweden haha. Which totally confuses people. But every summer when I do go to Stockholm, I usually go to Sergelstorg Square, Biblioteksgatan, and Gamla Brogatan for shopping. I’m not sure of any shop names, but looking around those areas you’ll definitely find something. Saker & Ting, on Sturegatan, is a pretty sweet vintage store you might like checking out. Also try visiting Br√∂derna Erikssons Dammode, it’s another vintage store with 40’s/50’s style clothes. But honestly I find that most Swedes actually wear HM,(which is a total staple in everyone’s closet) and manage to mix it up AMAZINGLY with vintage stuff from tiny stores you’ll find all over the city. But if you’re looking for more designerish stuff then go to NK, it’s the biggest department store and super easy to find. Hi! I’m an art student who lives in Stockholm and I just want to add that the tips above are very much overated, so if you got some time over I would love to show you all of Stockholms hidden treasures. Contact me on my email adress and hopefully I will see you soon. you must go to the stores of second hand!!! Nytorsgatan 38, in a corner. … And of course H&M, that it is in sale… like almost all the city. hey there… i love all things scandinavian. it’s one of the things i covet. 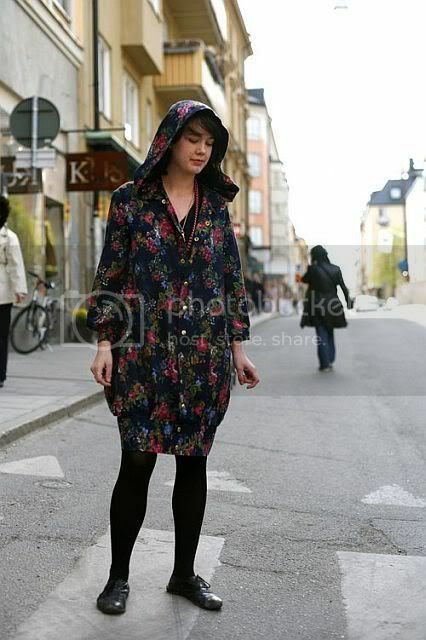 this month’s issue of NYLON has a feature on stockholm, and it lists everyone’s myspace page. you could browse around there. You should absolutely visit S√∂dermalm which has a lot of vintage stores like Lisa Larsson on Bondegatan 48, Judiths second hand on Hornsgatan 75 and the swedish version of Beyond Retro on √Ös√∂gatan 144. If you are looking for cool swedish design you should visit Filippa K at Grev Turegatan 18 or G√∂tgatan 23, Whyred at Norrlandsgatan 21, Acne at Norrmalmstorg or Carin Wester at R√∂rstrandsgatan 40 (Vasastan) On R√∂rstrandsgatan 4 there’s also a nice little coffee shop called Mellqvist. I hope you’ll enjoy your stay in Stockholm! check out the shops from Fifth avenue shoe repair(Bondegatan), Tjallamalla(Bondegatan), sandra backlund, monky(g√∂tgatan), weekdays(g√∂tgatan), urban outfitters(√∂stermalm), beyond retro (check out their corner in TopShop in Drottninggatan) and the secondhand shops in Hornsgatan. For going out I¬¥d recommend Debaser at Slussen. i hope this helped you a bit! Ooo, I’ve always wanted to see Stockholm. Enjoy! Can’t wait to see pics. first of all, i read your blog a while now and i find it excellent! Second of all, i would recommend you to visit the vintage-boutiques Old touch (Upplandsgatan 43) and Svart (Bondegatan 1F) when you are visiting Stockholm, both in S√∂dermalm where i personally thinks the best shopping is represented. Also the bigger, unsorted second hand stores like Myrorna is places where you can make realy cool cheap finds, if you got some time will say, the best Myrorna in mine opinion is the one at G√∂tgatan (S√∂dermalm) and the one in one of the suburbs, Sk√§rholmen. so really, i don¬¥t know.